Boardwalk or viewing platform with tall trees, blue sky and crystal clear spring water. Horizontal orientation split image. 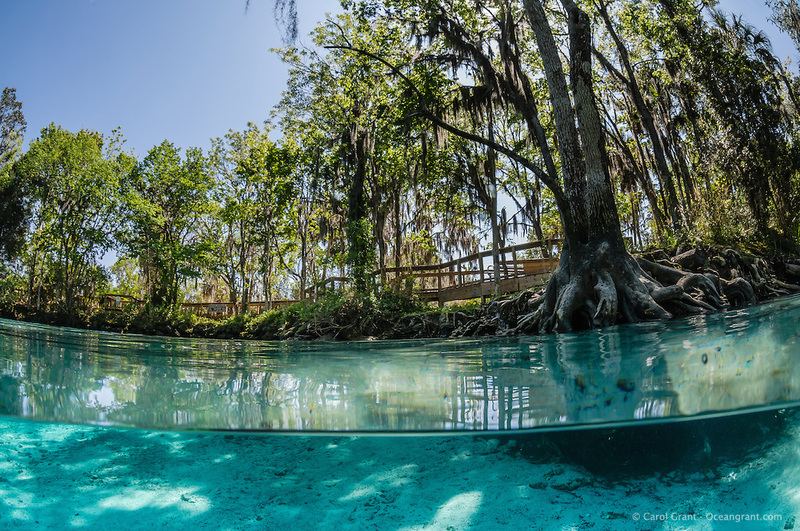 Three Sisters Springs, Crystal River National Wildlife Refuge, Kings Bay, Crystal River, Citrus County, Florida USA.